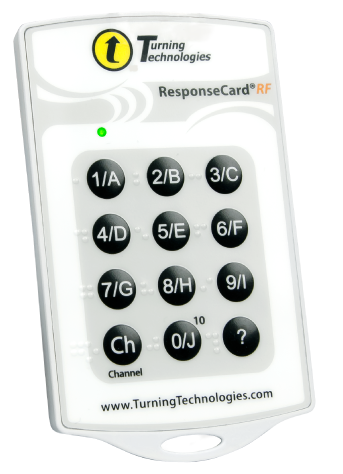 With our braille response device, visually impaired participants are able to contribute to every discussion. 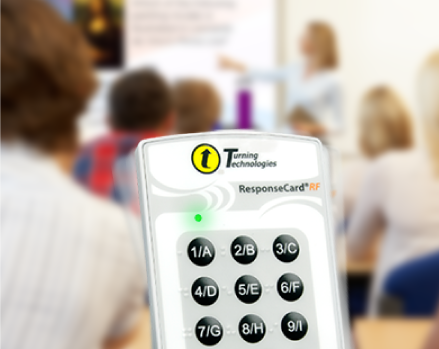 The simple response clicker provides no learning curve and allows presenters to collect valuable data for further analysis. A clicker designed for the visually impaired. 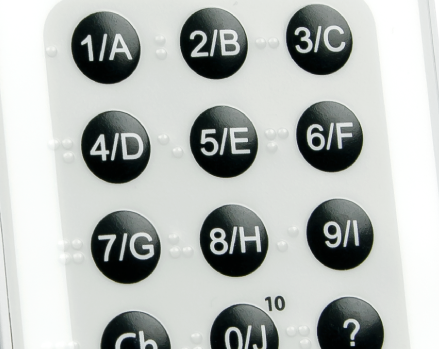 With braille buttons, participants can accurately respond to interactive questions. A vibration motor notifies the participant of their actions to ensure answers are entered and collected correctly. Braille device works in tandem with other Turning Technologies response solutions. Collect accurate responses from all learners. A 200-foot range ensures responses are collected from every participant regardless of learning environment. 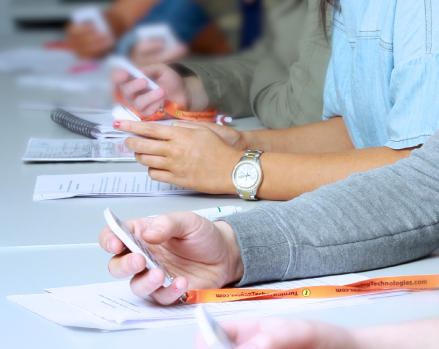 Respond to multiple-choice, matching, true/false and priority ranking clicker questions. Engage and assess visually impaired participants with an electronic clicker device designed for their needs.